Two-week summer schools, at UC Santa Barbara or elsewhere, aimed at graduate students and/or junior researchers. One-week workshops or conferences, designed to bring together leading experts and junior researchers in a particular field. 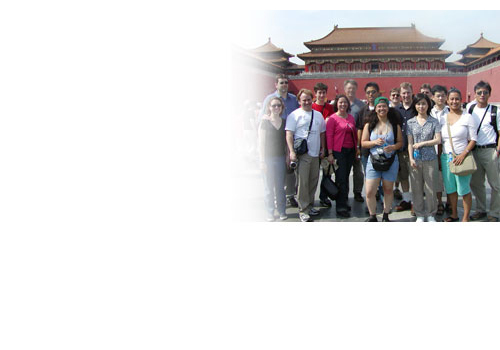 Coordinated international exchanges of graduate students and junior researchers. Longer term thematic research programs, incorporating multiple activities and exchanges centered around a specific materials research problem. We also encourage innovative new ideas in any area that connects broadly to materials research. Proposals should contain a title, a paragraph or two explaining the idea, suggested organizers, key program participants, proposed dates, location and a budget. Criteria for the selection of programs include intellectual significance, timeliness, availability of outstanding and diverse participants, a need for international collaboration, expertise outside of the US and broader impacts, such as training international students, contribution to a pressing international problem, potential for engaging the wider community and potential for broadening participation of under-represented groups. The ICMR Director, Tresa Pollock pollock@engineering.ucsb.edu) or Program Coordinator (marisol@icmr.ucsb.edu) will be pleased to discuss any ideas or questions.